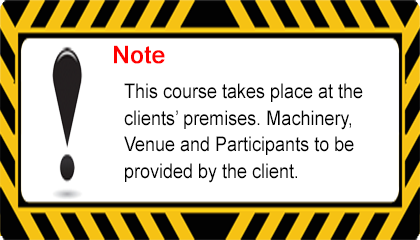 Tar Crew Safety Training is a half day course. Certificates are for 3 years and we take large groups and deliver in a hotel setting. It has been described as a safe pass type course for tar crews but better because its more relative to the participants. Health & Safety Act 2005. Construction Regulations 2013. General Applications Regulations 2007 to 2016. Manual Handling, Abrasive Wheels. Work at Heights, Fire Safety. 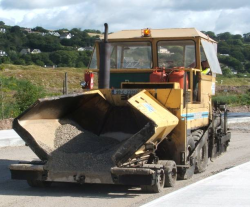 Safety with Rollers, Pavers, Chippers, Bitumen Boilers, Pitch Pots. Safety with Tractors, Planers, Sweepers, Lorries, Tying loads. Manoeuvring Exercises, Hydraulic Controls Compressor Whip Checks. Hitches, PTO, Front loader, inflating tyres, body props/safety struts. Refuelling /Battery care & maintenance. Dangers of the public and traffic.